If you’re looking for a fun and unique way to entertain your guests and bring people together, KC Video Games has the answer. We are everyone’s favorite source for fun and entertainment! We sell, rent and service a wide variety of pinball machines, new and classic arcade games, jukeboxes and so much more. Whether you’re looking for a way to entertain your customers or want a fun and unique way to engage your guests, KC Video Games has everyone’s favorite game. From pool tables to video games, we have the best selection of new and classic arcade games in Kansas City, MO. Young or old, nothing brings people together and engages your guests like an interactive video game or coin-operated machine. From weddings and parties to restaurants and bars, adding an arcade game is a fun and unique way to entertain your guests and keep them coming back for more. We have the largest selection of arcade games, jukeboxes and other games in the state. We offer easy drop-off and pick-up for game rentals. We guarantee your games will be dropped off on time and picked up when the parties over. No stress, just fun. Unlike other video game stores, we offer arcade game services in Kansas City, MO and the surrounding area seven days a week and evenings too. 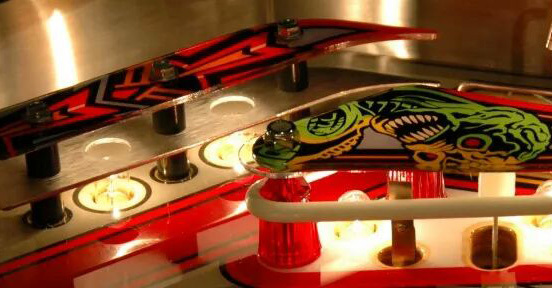 We keep our inventory stocked with parts and products for a large selection of pinball machines, pool tables, jukeboxes and other coin-operated devices. Our staff is fast, fun, friendly, and they know how to bring the party and deliver the fun. "Scott provided skee ball and pop-a-shot for our wedding reception. He was great to work with! He responded to emails promptly and was very p..."
"Scott repaired our centerpiece game a year and few months ago . It stopped again and he made a service call repaired our game at zero cost ...."
"Scott w/ KC Video Games is truly an expert in arcade game maintenance and repair. He is honest and fair, and a pleasure to work with. I hi..."
"Scott is awesome. When my NBA Jam stopped working he came out immediately to fix it. He also helped with my bubble hockey. Thanks Scott!" "Scott Jeno with KC Video Games has been incredibly helpful with servicing our basketball arcade game. Unfortunately we have had issues with ..."
For a unique way to entertain your customers or bring friends and family together, contact KC Video Games.